Home LISTEN! 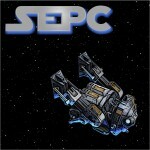 SWTOR Escape Pod Cast 85: The Only Good Sorc! This week @AIESema, @MaxTheGrey and Astromech EPC-85 are joined by operations team member and guild member, Sferics. We dive into Sorc DPS and talk about how our operations team leader’s quote that “the only good Sorc is a healing sorc” isn’t true! (Yes, he only says it to mess with us.) We also cover news for the week from SWTOR in general and from our guild, Alea Iacta Est.